The Champaign County Municipal Court is presided over by the Honorable Gil S. Weithman, who was elected and began serving his first term on January 1, 2014. 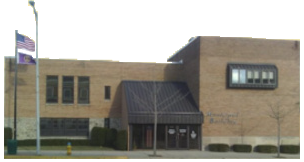 The Champaign County Municipal Court has county-wide jurisdiction and became a Full-Time Court effective January 1, 2002. The Municipal Court has made great strides in these years toward enabling the Court and the Clerk’s Office to operate more efficiently, effectively, fiscally prudent. » Arraignments are held in the traffic and criminal division of the Champaign County Municipal Court on Monday, Tuesday, Wednesday and Fridays at 9:00 a.m.
» Pretrials, trials to the Court, and motion hearings in the Traffic and Criminal Division are usually held from 8:00 a.m. to 4:00 p.m.
» Jury Trials are normally held on Thursdays beginning at 8:00 a.m.
» Civil and Small Claims cases are heard on Wednesdays. The building is located on the southeast corner of the intersection of Market and Main streets. Free public parking is located on Market Street east of the Court facility or north of the Court facility across from the Urbana Fire Department. May 9, 2019- Jury trial shall proceed as scheduled. Jurors are to report by 8:30 a.m.
April 18, 2019- Jury trial has been CANCELLED. Jurors DO NOT need to report. April 11, 2019- has been CANCELLED. Jurors DO NOT need to report. April 4, 2019- Jury trial has been cancelled. Jurors DO NOT need to report. Champaign County Municipal Court, Urbana, Ohio.